Tim’s new BBC podcast All Hail Kale, a wry look at wellness, is drawing big listener figures (reaching number one podcast on the BBC) - and great critical reaction. The Observer calls it “clever, witty and entertaining”. The Evening Standard have named as the BBC’s number one new podcast. Grazia magazine call it “humorous and analytical”. Hear all six episodes on the BBC. Tim’s new BBC podcast - ALL HAIL KALE - has launched. Wellness with wit and actual evidence. The 6-part series will provide the entertaining voice of sanity, in this new podcast that cuts through the hype and hysteria of the three-trillion-dollar wellness industry. Tim will investigate what foods, therapies, gurus and lifestyles you should be embracing, which are total nonsense and others that might just work. Each episode will focus on a different wellness issue which will see Tim prepare for a nutritious post-apocalypse, go through cheese rehab, attempt to beautify builders, rewire his brain and delve in future gut-based treatments for depression. Providing the medical voice of reason is a New York-based gynaecologist who is the only doctor who doesn’t screen Tim’s calls. Some of the biggest names in wellness - like Tony Robbins, Deepak Chopra and Gretchen Rubin - feature in the series, and give their own special end-of-show meditations to soothe listeners. In the Norther Territory of Australia, Tim Samuels find out how saltwater crocodiles have come back from the brink of extinction - on National Geographic TV. In a new series of flagship show Explorer on the National Geographic TV channel, Tim Samuels heads to New York to explore why men’s sperm counts have halved in the past few decades. Tim’s documentary ‘Dr, Why?’ airs on BBC Radio 4 - in which he explores: there are more PhD students in the UK than ever, but who is really benefitting? And is a labour of obscure academic love really worth it? Tim appeared on Radio 4 show Bringing Up Britain, with Mariella Frostrup, discussing dealing with aggression - especially amongst boys and young men. BBC World Service are airing a three-part documentary series in which Tim Samuels explores and compares the state of men across three continents. Tim heads to Lagos, Delhi and North Carolina in search of 'What Men Think'. Tim Samuels has been nominated for UK radio documentary of the year - at the Radio Academy's ARIAS awards (formerly the Sony's). 'Tim Samuels' Sleepover: Inside the Israeli Hospital' - which was broadcast on BBC Radio 4 - has been shortlisted for the best factual storytelling award. The programme follows the extraordinary story of Israel treating Syrians wounded in its civil war - despite the two countries technically still being at war with each other. Who Stole My Spear? has been published in Lithuania - where the title (apparently) translates to Where Disappeared My Spear? Tagged: @TimSamuels, Tim Samuels, Who Stole My Spear? 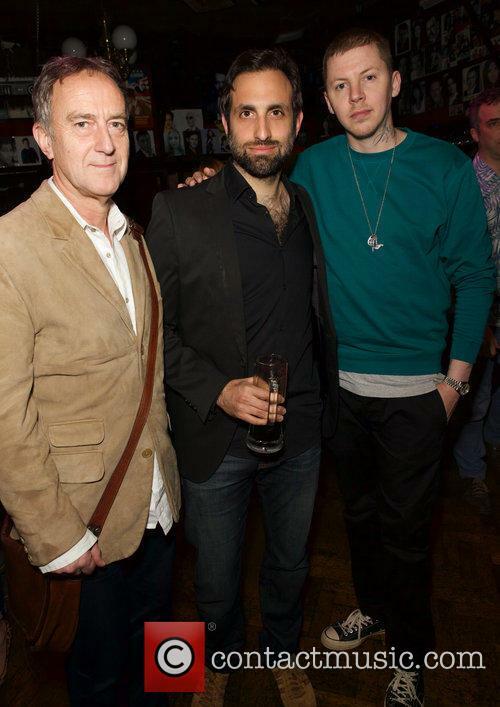 Book launch photos for Who Stole My Spear? 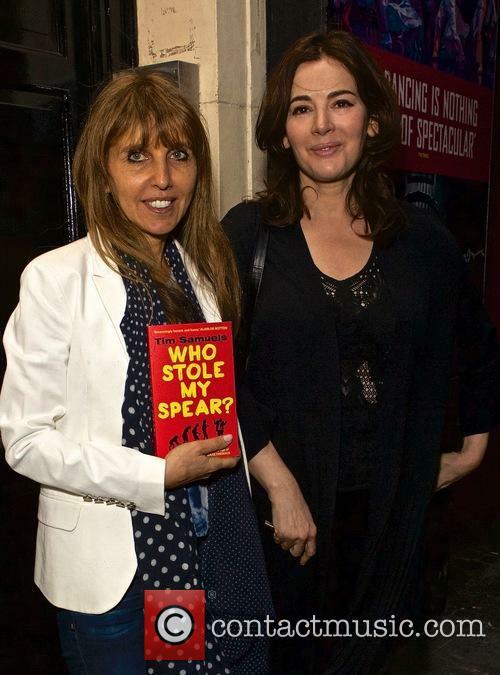 Photos released for the London launch of Who Stole My Spear?, by Tim Samuels. Featured guests include Jemima Khan, Professor Green, Angus Deayton, Nigella Lawson, Mariella Frostrup, Robert Peston, David Baddiel, Martha Ward, Martin Lewis, Henrietta Conrad, Michael Crick. Tagged: Tim Samuels, @TimSamuels, Who Stole My Spear? Tim Samuels hosts a BBC Radio 4 series - Breakfast With The Disruptors - that explores upstarts who are promising to revolutionise different sectors and how we live. The three-part series looks at disruption around property, finance and death. Tim Samuels goes inside the Church of the Holy Sepulchre for a rare look at what many believe to be Jesus Christ's tomb - for Explorer on National Geographic. Tim investigates how DNA breakthroughs from Iceland could transform the future of medicine - for Explorer on the National Geographic channel.